This entry was posted in Education, Entertainment and tagged A Cappella, Anna Kendrick, Culture, Fair Pay Act, Gender, Gender Equality, Katey Sagal, Lily Ledbetter, Lily Ledbetter Fair Pay Act, Movies, Pitch Perfect, Pitch Perfect 2, Sociology, Women. Bookmark the permalink. Ever since the surprise success of the Fox TV show “Glee” audiences have been exposed to the world of choirs, high school show choirs, and the world of a capella. 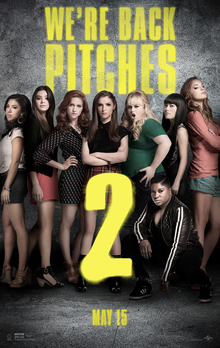 The film “Pitch Perfect” deals with the latter of the three. “Pitch Perfect” stars Anna Kendrick as Beca, an incoming freshman at Barden College who is forced to go to college by her father who just happens to be a professor there. To know about Pitch Perfect 3 Trailer just take a look and you get all the information you need.